Indexed Annuities – Da Coach Likes Them Should You? Mike Ditka recently began doing radio commercials for an insurance group touting their Indexed Annuity product. He ends one of the commercials with his characteristic “… tell them Mike Ditka sent you…” Given that Da Coach was a member of the last two Chicago Bears championship teams since the days of leather beater helmets (1963 as a player and 1985 as coach) he is perhaps the preeminent pitchman here in Chicago. Should you pick up the phone and say that Coach sent you? Let’s examine a few issues. What is an Indexed Annuity? Per the FINRA website, EIAs (Equity Indexed Annuities) are complex financial instruments that have characteristics of both fixed and variable annuities. Their return varies more than a fixed annuity, but not as much as a variable annuity. So EIAs give you more risk (but more potential return) than a fixed annuity but less risk (and less potential return) than a variable annuity. EIAs offer a minimum guaranteed interest rate combined with an interest rate linked to a market index. Because of the guaranteed interest rate, EIAs have less market risk than variable annuities. EIAs also have the potential to earn returns better than traditional fixed annuities when the stock market is rising. — Hidden fees and commissions. Commissions typically run between 5 percent and 10 percent of the contract amount, but can sometimes be more. These and other expenses are taken out of returns, so it’s hard for buyers to determine exactly how much they’re paying. — Complex formulas and changing terms. The formulas used to determine how much annuity owners earn are so complex that even sales people have a hard time understanding them, and they can change during the life of the contract. — Limited access to funds. Buyers who try to cash out early will incur a surrender charge that typically starts at 10 percent and decreases gradually each year until it stops after a decade or more. –Limited upside. An annuity’s “participation rate” specifies how much of the increase in the index is counted for index-linked interest. For example, if the change in the index is 8 percent, an annuity with a 70 percent participation rate could earn 5.6 percent. However, many annuities place upside caps on the index-linked interest, which limits returns in strong bull markets. If the market rose 15 percent, for example, an annuity with a cap rate of 6 percent would only be credited with that amount. Mike Ditka is not an inexpensive spokesperson. Nor do I believe that ads on our local CBS radio affiliate are cheap. This goes to reinforce the point about high expenses and fees from the Reuters article. In fact I have been told that annuities are among the highest revenue generators for financial sales people, to me this creates a potential conflict of interest. Additionally, any annuity product is only as good as the insurance company behind it. Before buying into any annuity be sure to understand who the insurer is and get information about their financial health. An Equity Indexed Annuity might or might not be a good solution for your situation. In fact many of the proponents of these products point out that their performance has by and large been as expected over the past several years. 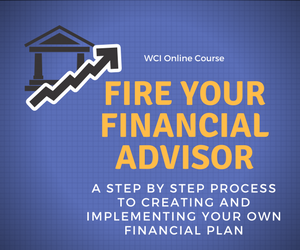 Rather than focus on any particular financial product or investment vehicle, start with a financial plan. Determine your financial goals, your risk tolerance, and your time horizon to achieve your goals. Look at your current resources and compare these to what you might need to accumulate to achieve your goals. Only then are your ready to look at what financial or investment products might be appropriate for you. Lastly I would encourage you to ignore celebrity endorsements for financial products or services. While Mike Ditka might be an exception, there are many stories of athletes and celebrities making really poor financial decisions and being ripped off by financial sales people and advisors. If you buy the wrong brand of snack food based on their endorsement, not much downside. The same can’t be said if you pick the wrong financial advisor.